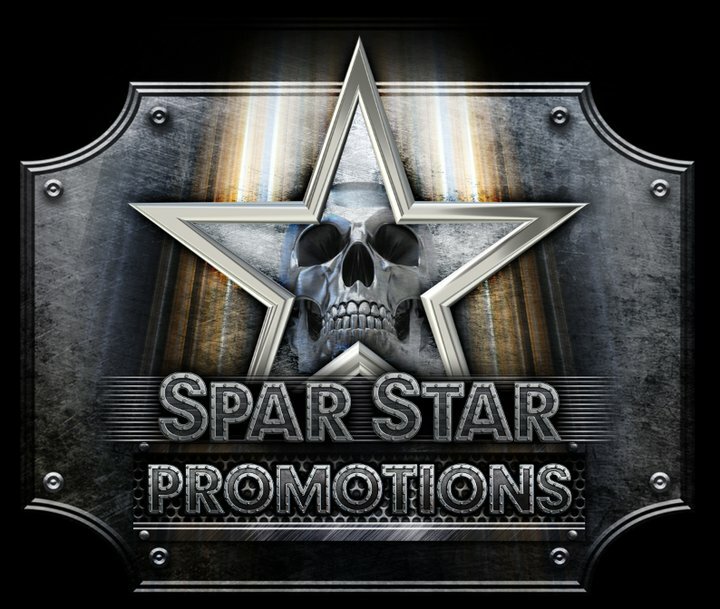 Spar Star Fight Night Los Angeles Results | MMA Fighting Events Videos Techniques UFC Fight Picks and News. 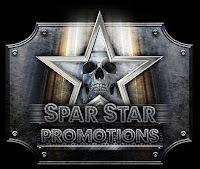 Spar Star Promotions Inc. put on yet another solid CAMO sanctioned MMA event. With the fights taking place at the beautiful Hollywood Park Casino in Los Angeles, California, there was no doubt that fight fans would not be disappointed. 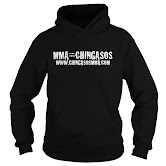 This event had seven fights on the bout card, including a championship bout, and chingasos came at a fast pace. Now let’s take a look at what happened. Bethley connected with a left hook chingaso. Muntain got the reversal on the Bethley takedown and moved right to mount. Muntain went for a triangle but Bethley escaped. Bethley ended the round with a takedown and dropped chingasos. Both fighters clinched but Bethley got the takedown and top position and moved to mount. Muntain was able to reverse and move into Bethley's guard as the round came to an end. Bethley landed a hard left again, clinched, got the takedown and moved to side control. Muntain got half guard but Bethley dropped hard shots. Muntain got the reversal as the round ended. Estrada shot in and got the takedown, but Calzada was able to get back up. Both men threw chingasos, and Estrada got another takedown. Estrada took mount, moved to the back, and finished the round transitioning between mount and back. Calzada came out and dominated the center of the cage. Estrada went for a takedown, but Calzada stuffed it and threw chingasos. Estrada timed a double leg and got the takedown. The fighters got up to throw more chingasos. Estrada timed another double leg to end the round. Estrada went for a takedown but Calzada stuffed it. They clinched and Estrada got the throw and ended up in mount. Estrada transitioned between mount and back and then started landing chingasos from the mount. Results: Estrada won via unanimous decision. Chapman landed a low blow to open up the fight. After the fight continued, Chapman went for a guillotine but Gonzales escaped. Gonzales stood up and threw kicks to Chapman's legs. The fight went to the ground, and Gonzales landed in Chapman's guard and he threw chingasos to end the round. Chapman landed chingasos and Gonzales attempted a takedown. Chapman went for guillotine. The fighters disengaged and started throwing again. Gonzales landed a hard chingaso before clinching again. Chapman jumped guard to attempt guillotine. Gonzales escaped, but Chapman went for a triangle. Gonzales held off to end the round. Both fighters were obviously tired but both kept firing and landing chingasos. Gonzales went for the takedown and landed in the guard. Chapman locked up a triangle but Gonzales escaped. Gonzales ended the round throwing from inside the guard. Results: Gonzales won via split decision. Spencer came out firing right away. They clinched and Spencer threw knees. Spencer threw Carbajal around the cage before finally throwing him to the ground. Spencer went for an armbar but Carbajal defended. Spencer went to the mount and rained down chingasos until the referee stopped the fight. Mathews went for a takedown and eventually got it. Olsen got back up, went for a hip toss, but Mathews reversed and got the throw. Mathews controlled top position. Mathews held Olsen against the cage until he was able to get the takedown. Olsen tried to work his way up, but Mathews landed chingasos. Olsen threw a teep that Mathews caught. Mathews came back with a hard straight right. Olsen went all out for a takedown but Mathews stuffed it. Mathews slammed Olsen to the mat as the final bell rang. Results: Mathews won via unanimous decision. Both fighters took their time to feel each other out. At the end of the round, Fernandez went for the takedown but James reversed. Both fighters threw punches but mostly kept their distance. James and Fernandez clinched as the round ended. Fernandez went for a takedown. He got James down, but James was able to quickly work back to his feet. Both fighters landed knees from the clinch. Results: Fernandez won via unanimous decision. This one was for the Sparstar Welterweight Championship Belt. Before the fight even started, it was clear to see that both of these men trained hard and that both of these men wanted to go home with the belt. Law was looking to take away Diaz's belt and give him his first loss. However, Diaz was looking to put a quick end to Law’s championship dreams. Law came out and took contol of the center of the cage. Diaz shot in and got the takedown but Law quickly got up. Law was able to slam Diaz, but Diaz reversed position and worked to side control as the round ended. Diaz timed Law's strike and shot in for a takedown. Law worked for a submission from the guard, but Diaz passed to side control. Diaz got to the mount, but was unable to land much as the round ended. The fighters clinched with both fighters landing knees to the body. After they released, Diaz shot in and got the takedown. Diaz quickly passed guard and moved to the mount. Diaz landed some good shots from the mount and attempted an armbar as the fight came to an end. Results: Diaz won via unanimous decision to retain his title.